You can view before and after images of real patient of Dr. Anna Schultz. This lovely lady came into our office and would barely smile because she was so self-conscious about the color of her teeth. She has what are called “tetracycline stains,” due to an extended dosage of the antibiotic as a child—and these can be challenging to treat effectively! She’d seen dentists in the past, but no one was ever able to help her. 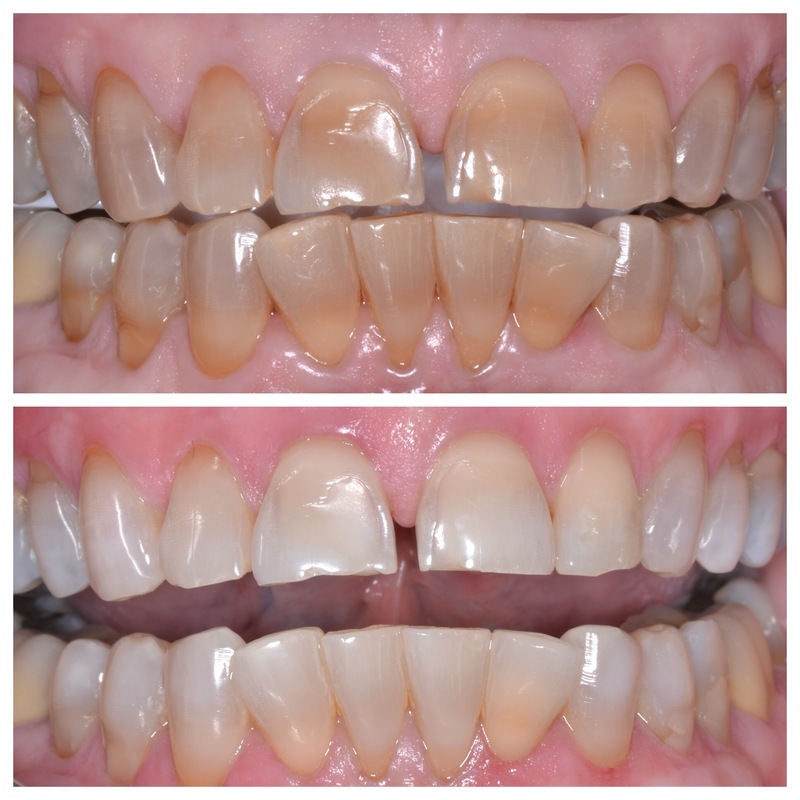 Using Kor Whitening products, over a period of 8 weeks of home bleaching and 2 sessions in our office, she is laughing and smiling again—with no sensitivity to boot!